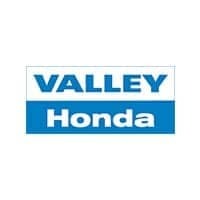 Valley Honda is a Factory Authorized Tire Center. With direct access to tire manufacturers, we can offer competitive pricing on OEM tires and alternates. Our state of the art high speed balancer and 4 wheel alignment rack make us a one stop shop. We always have a full line of Bridgestone, Continental, Michelin, Goodyear as well as other makes of tires on hand to keep your wait to a minimum. Tires are the most ignored and underrated component of your vehicle. They are the only interface between your Honda and the road to provide traction to accelerate, steer and stop. Valley Honda KNOWS your vehicle best and will ensure its equipped with the optimum choice of tire for your driving needs. No Appointment Needed – Just Drive-In! Misaligned wheels can cause uneven and rapid tire wear. It is normal for wheel alignment to change through the life of the vehicle as wear accumulates and especially if the vehicle is driven on rough roads. If abnormal tire wear or damage is discovered when checking tire pressure or during vehicle maintenance, or your Honda has developed symptoms such as pulling to one side or that the steering wheel is not centered when driving straight, the wheel alignment should be checked and corrected if needed. Proper wheel balance helps prevent unnecessary wear to the tires, steering, and suspension components and also provides for a more enjoyable driving experience. Wheel balance normally changes as tires wear and should be checked periodically when you change or rotate tires, and especially if you have noticed speed-related vibration while driving. Wheel balancing should always be done when replacing tires and when a tire has been removed from a wheel for any reason. Under-inflation increases a tire’s rolling resistance. 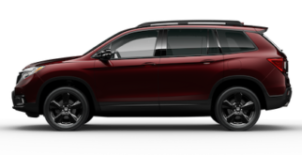 Don’t wait until your tires “look” low, or the TPMS (tire pressure monitoring system) warns you that your Honda’s tire pressures are low before you check them. Tires that are 8 PSI low can increase fuel consumption by 4%. Think of the air to keep your tires at proper pressure as “free” gasoline. Automobile and light truck tires manufactured for sale in North America have wear indicators (“wear bars”) molded into the tire thread at 2/32″ depth. This is the minimum legal depth permitted for use on public roads. When a tire’s thread is worn level with the wear indicators in two or more adjacent tread grooves, the tire is considered illegal for further use and must be replaced. Some all-season tires have a second wear indicator at 4/32″ tread depth. When worn to this depth, an all-season tire may no longer be suitable for use in snow and may experience hydroplaning in severe wet conditions. Winter tires may have a second wear indicator at 6/32″ that indicates when the tire may no longer be suitable for use in snow. Come in today and let us evaluate the tire wear on your car, as well as condition of your current tires. A member of our friendly staff will take care of you and make recommendations to keep your car in safe and reliable operating condition.